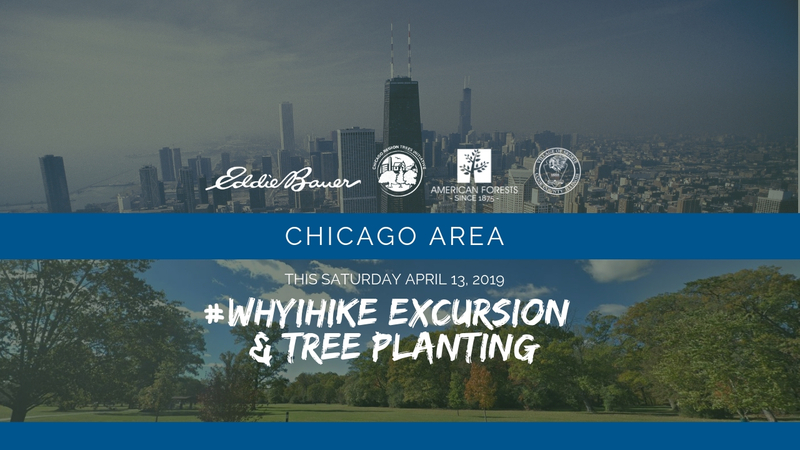 American Forests and Eddie Bauer are co-hosting a day of outdoor adventures, including a tree planting and hike, in Skokie, Illinois on Saturday, April 13th, showcasing that adventure is everywhere, even in our own backyards. 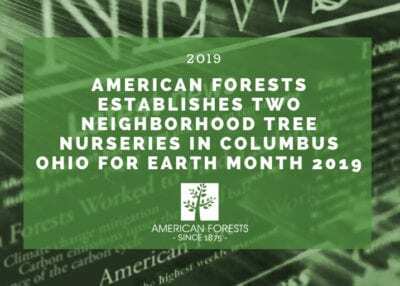 The event, which is open to the public, will bring together community members, volunteers, American Forests’ staff, Chicago Regional Trees Initiative (CRTI) experts, and Eddie Bauer team members to plant trees near the Eddie Bauer store at Old Orchard Mall. Following the planting, guests will take part in a hike lead by CRTI, aligning with Eddie Bauer’s #WhyIHike campaign. In addition to the tree planting and hike, Eddie Bauer will kick-off the event with a small brunch reception that morning at their Old Orchard Mall store location. Working together since 1995, this year marks the 24th anniversary of Eddie Bauer’s partnership with American Forests. Throughout their long-standing partnership, they have planted over 8 million trees. This spring, Eddie Bauer launched its second-annual #WhyIHike campaign, sharing stories of what inspires people to get outside and hike while encouraging people to learn about the environment and help preserve it for future generations. While Eddie Bauer has hosted a variety of campaigns, one of the most lucrative is their donation prompt online and in-store at checkout, encouraging customers to add 1 dollar to their purchase to plant one tree with American Forests. Founded in 1875, American Forests is the nation’s oldest conservation organization dedicated to protecting and restoring America’s forests, but our work today is more important than ever because forests are a natural climate solution. Since 1990 alone, we have planted over 60 million trees in forest restoration projects in all 50 U.S. states. We have also worked in dozens of cities across America, expanding tree canopy and making our communities more sustainable, beautiful, and livable. Together, these projects recover hundreds of thousands of acres of wildlife habitat, safeguard vital watersheds, absorb millions of tons of greenhouse gases and protect some of the most stunning landscapes in America. Eddie Bauer is an outdoor brand offering performance outerwear, apparel, footwear, accessories, and gear. For nearly 100 years, Eddie Bauer has been inspiring and enabling people to live their adventure. Eddie Bauer products are guaranteed and are available online at www.eddiebauer.com, and at more than 400 stores in the United States, Canada, Germany, Japan, and other international markets. The Chicago Region Trees Initiative (CRTI) is a partnership for coordinated action on key issues facing trees. It is the largest such initiative in the country, with leading organizations and agencies from across the seven-county metropolitan region working together. CRTI is leveraging funding, knowledge, skills, and expertise to build a healthier, more diverse regional forest.